Inspired by the field of thermodynamics, philosopher of technology Gilbert Simondon uses the term ‘metastability’ to refer to a system state that transcend the classical opposition between stability and instability, and is charged with potentials for a ‘becoming’. What can a drum machine become?  ‘ER-1’ by MVK (Matthijs Kouw) provides an answer to this question in the form of 10 de- and reconstructions of the ER-1, a versatile drum machine and percussion synthesizer first released by Korg in 1999. All tracks on ‘ER-1’ were created by manipulating recordings of the ER-1 using granular synthesis, feedback, and various plugins. To some extent, the choice of source material in electronic music is arbitrary. The voice of electronic musicians has tremendous reach due to the multitude of discrete and radical transformations enabled by a growing arsenal of tools. Rather than emphasizing the radical possibilities of sound manipulation, ‘ER-1’ plays with degrees of recognizability of its original source material. The drum machine can be nearby or very far away. Beats morph into drones and noises. Rhythms and patterns emerge and dilute. An incantation of possibilities stretching the ER-1 beyond literal use. The potential of the ER-1 has thereby not been exhausted. ‘ER-1’ renders the ER-1 metastable, on the cusp of new becomings, suggesting new directions for the exploration of its sonic potential.